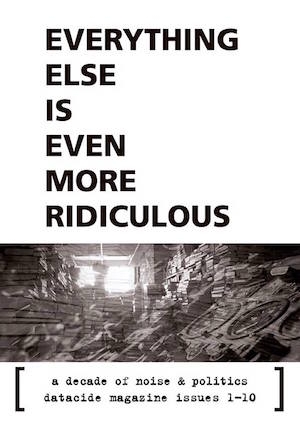 Counter-culture records, books and art. 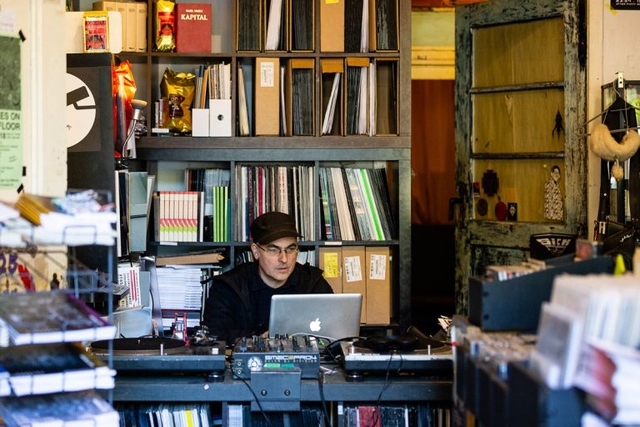 A physical store specialised in edgy electronic music, out-of-sight art and subversive books. Featuring an array of limited, exclusive, unique, mostly locally-crafted products including sound-boxes, custom lego dj equipment, organic Belgian beers, forbidden Russian tea and coffee and cacao sourced from radical production collectives in Latin America. A spot to hang out, to have a drink in the reader's corner while enjoying off-radar sonic blasts and read hard-to-find ouvrages and spacid sequential art. But it will also be a modular space easily convertible to host events like music performances, art exhibitions, lectures, talks, movie screenings, workshops and many other subversive activities. Three friends joined forces to create this associative and uncompromisingly independent store. Check out our respective websites to get an idea of what we'll propose. Keep in mind we'll have many more new things coming up. 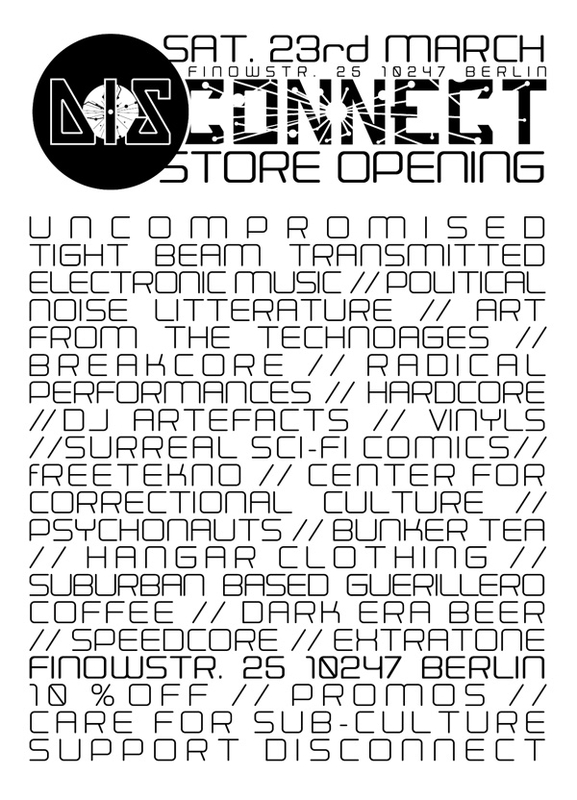 If you don't already know, records stores have been on the decline for about a decade, but the Praxis/Yaya23 store (formerly located at Lenbachstr. 9 in Berlin near Ostkreuz Station) did survive for a long time. Like many of its kind, it wasn't only a place to buy wax but above all an important hub for the local (yet worldwide-connected) electronic music networks, a place to discover new sounds, plan events, make contacts and much more. But alas, the notoriously aggressive gentrification in the German capital which has been pushing small independant businesses and low-income tenants towards the outskirts of the city has included that beloved space in its bodycount. Article in German in the "Morgenpost"
Article in German in the "Freidrichshainer Zeitzeiger"
That said, we've been lucky enough to find a new place! We're back, now located on Finowstr. 25., and still in Friedrichshain. And as Haedre has now joined forces, we chose to give it a full new start: bigger, nicer and under one banner. Well, this place was a terrible pizzeria before, here's glimpse at how trashed it was. 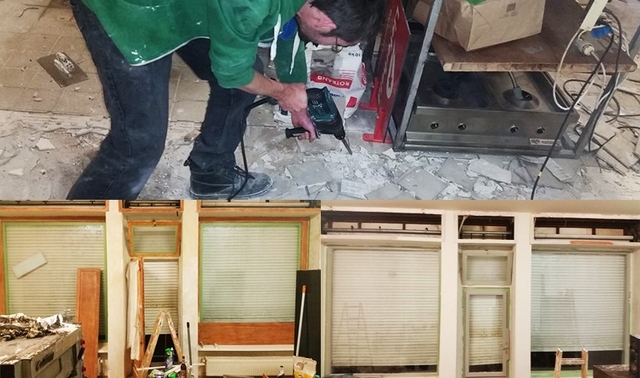 There's quite a lot to do and we did already the main "gross" parts, scrapping walls, etc... We'll be using as much recycled material as possible, stocks are already there so our costs are ridiculously low if you compare them with other businesses. Yet our funds are non-existent and in order to turn that space into something decent we need more money. Not counting the extra expenses and other funny surprises that often come together with such an enterprise. We also must organise a decent visibility campaign in order to reach a broader audience, which means investing in some propaganda like posters and flyers. That is why a financial kick, even a small one, will offer us some ease for the beginning. It'll also show that a supportive community is there and willing to help make it happen, which is very important for our motivation to have that moral support. You got it, 500€ will merely cover some costs, but for us it'll already be a significant relief! We'll open either way, but our goal is to bring in more so that this space can reach its full potential and offer the best welcoming atmosphere, for you and our community. - Most physical rewards have to be picked up at the shop. It is possible to get some shipped if asked. Shipping fees would be added. - Various promotions are cumulative. 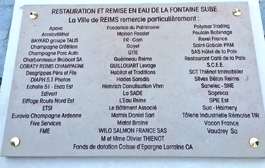 - Your name on the supporter's board: We'll print a nice board with all the names of the backers to display on a wall, thanking you all as supporters. If you don't want to be on it, please let us know. 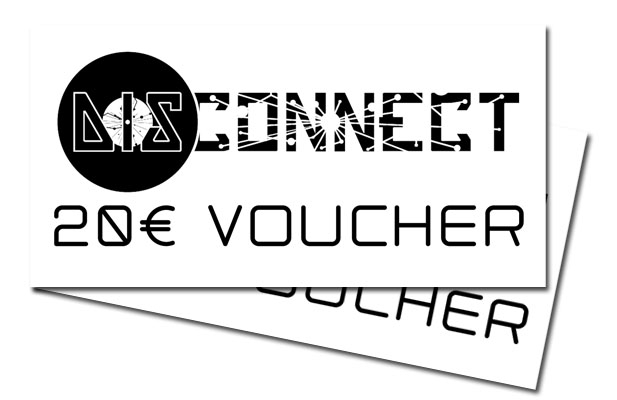 - Vouchers: Redeem them for anything in the shop. Not nominative so you can offer them to anyone. Valid for one year. - Techno-Templar: A special offer for "Devlok, the Techno-Templar - Complete Cycle", Haedre's 100% watercolor and ink, surreal sci-fi graphic-novel. A new edition comprising all four chapters and additional illustrations in one book of 76 200gr. paper pages and soft cover. - Datacide: A special subscription offer for the Magazine for Noise and Politics. - T-Shirts: Handmade silk-printed with the Disconnect logo. *Due to current charge of work, the T-shirts will only be ready for April or May. They can also be shipped. For this option, additional shipping costs will be asked. Just a last detail, as we have a tight schedule till the opening, this a fast campaign! Do not wait too long if you want to participate as the end date is the 18th of March! Also the project is all or nothing, either we reach the goal, either everyone gets refunded. Hey, you've read all! If you can't financially participate, there are other ways to give us a hand. Above all, you can share and talk about our project to your friends, that is of an unestimable aid. 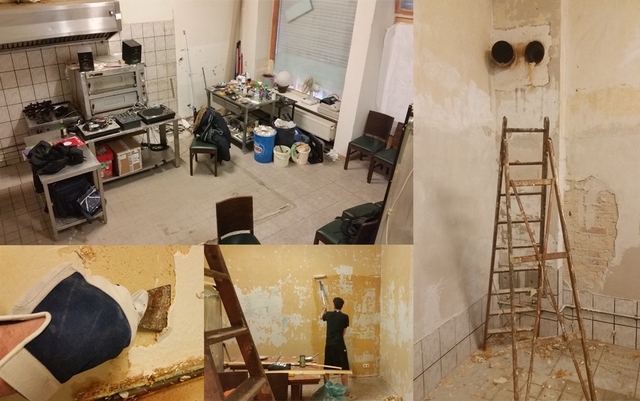 If you're in Berlin and have a few hours to kill, why not to come around and give us a hand at scrapping the walls, your name will also be on the founder's board! 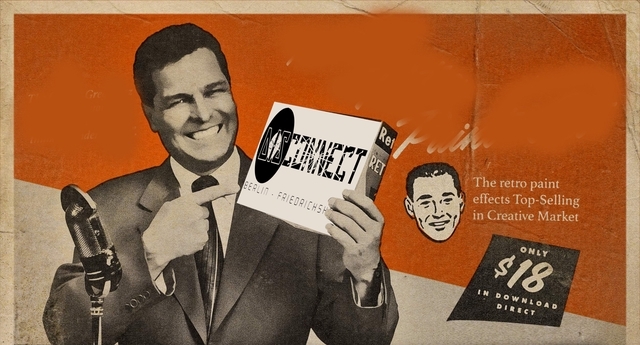 If you're a creator and interested in having your products displayed at DIsconnect, don't hesitate to pay us a visit. We look forward to hear from you and see you at the opening, Saturday the 23rd March. Our immense gratitude and your name on the supporter's board. + Your name on the supporter's board. Yes, you spend 15€ and buy for 20€ worth in the store! 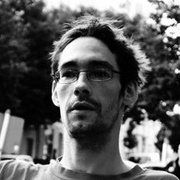 The complete cycle of Simon Lejeune's graphic novel. All in one new book with additionnal illustrations for 15€ Instead of 20€. Datacide Standard Subscription for three issues of the magazine, one copy of our yearly "almanac for noise & politics" pocket books as well as various flyers, newsletters, catalogues. No extra cost for shipping! A hand silk-printed T-shirt with the Disconnect logo. You will be asked your color and size. You don't care about a physical shop or products, but still want to support us? 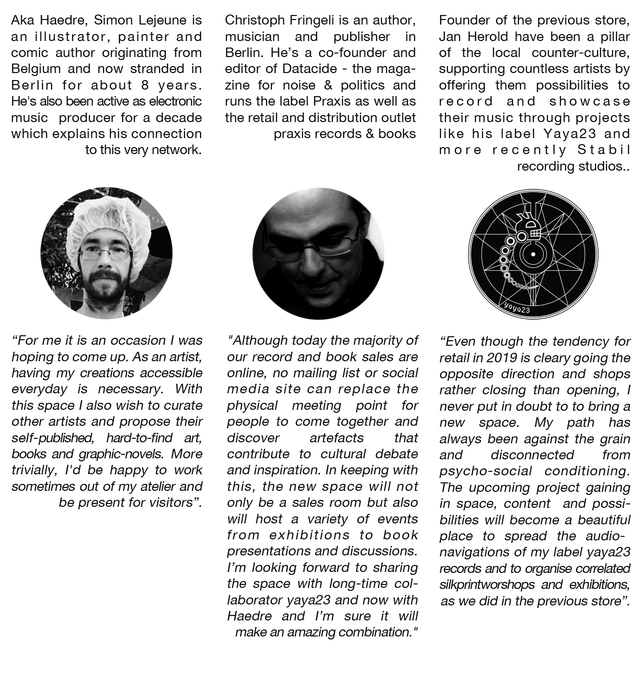 Why not get the complete available digital backcatalog from Praxis from bandcamp. Includes Sub/Version and other titles as well as all digital releases of 2019! Yes, you pay 90€ and you can spend 100€ in the store! Super-subscription! This includes 120 euro worth of releases, and can include back catalogue as well as upcoming issues of Datacide, books and Praxis records! Digital releases of 2019 are also included! No extra shipping costs! + A cup of coffee or tea made for you by Christoph. 15% off for 1 year! + A cup of our best coffee or tea together with the team! Your name on one of our products for a year! It can be on cacao or tea! A personalised, fully watercolor and ink painting by Haedre. Format 15x20cm. + A cup of our best coffee or tea together with Haedre!